3700201 Micro JCB Micro Excavator. Spare Parts Catalog. Service (workshop) Manual. Operator's Instruction Manual. 3700202 Micro 8008 JCB 8008 Micro Excavator. Spare Parts Catalog. Service (workshop) Manual. Operator's Instruction Manual. 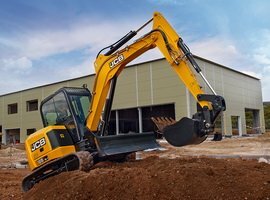 3700203 Micro Plus JCB Plus Micro Excavator. Spare Parts Catalog. Service (workshop) Manual. Operator's Instruction Manual. 3700204 Micro Plus T2 JCB T2 Micro Excavator. Spare Parts Catalog. Service (workshop) Manual. Operator's Instruction Manual. 3700205 Micro T2 JCB T2 Micro Excavator. Spare Parts Catalog. Service (workshop) Manual. Operator's Instruction Manual. 3700207 801 JCB 801 Mini Excavator. Spare Parts Catalog. Service (workshop) Manual. Operator's Instruction Manual. 3700208 801 Gravemaster JCB 801 Mini Excavator. Spare Parts Catalog. Service (workshop) Manual. Operator's Instruction Manual. 3700209 802 JCB 802 Mini Excavator. Spare Parts Catalog. Service (workshop) Manual. Operator's Instruction Manual. 3700210 801.4 JCB 801.4 Mini Excavator. Spare Parts Catalog. Service (workshop) Manual. Operator's Instruction Manual. 3700211 801.5 JCB 801.5 Mini Excavator. Spare Parts Catalog. Service (workshop) Manual. Operator's Instruction Manual. 3700212 801.6 JCB 801.6 Mini Excavator. Spare Parts Catalog. Service (workshop) Manual. Operator's Instruction Manual. 3700213 802 super JCB 802 super Mini Excavator. Spare Parts Catalog. Service (workshop) Manual. Operator's Instruction Manual. 3700214 802 super JCB 802 super Mini Excavator. Spare Parts Catalog. Service (workshop) Manual. Operator's Instruction Manual. 3700215 802.4 JCB 802.4 Mini Excavator. Spare Parts Catalog. Service (workshop) Manual. Operator's Instruction Manual. 3700216 802.4 super JCB 802.4 super Mini Excavator. Spare Parts Catalog. Service (workshop) Manual. Operator's Instruction Manual. 3700217 802.7 JCB 802.7 Mini Excavator. Spare Parts Catalog. Service (workshop) Manual. Operator's Instruction Manual. 3700218 802.7 plus JCB 802.7 plus Mini Excavator. Spare Parts Catalog. Service (workshop) Manual. Operator's Instruction Manual. 3700219 802.7 super JCB 802.7 super Mini Excavator. Spare Parts Catalog. Service (workshop) Manual. Operator's Instruction Manual. 3700220 803 JCB 803 Mini Excavator. Spare Parts Catalog. Service (workshop) Manual. Operator's Instruction Manual. 3700221 803 magnum JCB 803 magnum Mini Excavator. Spare Parts Catalog. Service (workshop) Manual. Operator's Instruction Manual. 3700222 803 plus JCB 803 plus Mini Excavator. Spare Parts Catalog. Service (workshop) Manual. Operator's Instruction Manual. 3700223 803 super JCB 803 super Mini Excavator. Spare Parts Catalog. Service (workshop) Manual. Operator's Instruction Manual. 3700224 804 JCB 804 Mini Excavator. Spare Parts Catalog. Service (workshop) Manual. Operator's Instruction Manual. 3700225 804 plus JCB 804 plus Mini Excavator. Spare Parts Catalog. Service (workshop) Manual. Operator's Instruction Manual. 3700226 804 super JCB 804 super Mini Excavator. Spare Parts Catalog. Service (workshop) Manual. Operator's Instruction Manual. 3700227 8013 JCB 8013 Mini Excavator. Spare Parts Catalog. Service (workshop) Manual. Operator's Instruction Manual. 3700228 8014 JCB 8014 Mini Excavator. Spare Parts Catalog. Service (workshop) Manual. Operator's Instruction Manual. 3700229 8015 JCB 8015 Mini Excavator. Spare Parts Catalog. Service (workshop) Manual. Operator's Instruction Manual. 3700230 8016 JCB 8016 Mini Excavator. Spare Parts Catalog. Service (workshop) Manual. Operator's Instruction Manual. 3700231 8016 Super JCB 8016 Super Mini Excavator. Spare Parts Catalog. Service (workshop) Manual. Operator's Instruction Manual. 3700232 8017 JCB 8017 Mini Excavator. Spare Parts Catalog. Service (workshop) Manual. Operator's Instruction Manual. 3700233 8018 JCB 8018 Mini Excavator. Spare Parts Catalog. Service (workshop) Manual. Operator's Instruction Manual. 3700234 8018 Super JCB 8018 Super Mini Excavator. Spare Parts Catalog. Service (workshop) Manual. Operator's Instruction Manual. 3700235 8020 JCB 8020 Mini Excavator. Spare Parts Catalog. Service (workshop) Manual. Operator's Instruction Manual. 3700236 8025 CTS ROW JCB 8025 CTS ROW Mini Excavator. Spare Parts Catalog. Service (workshop) Manual. Operator's Instruction Manual. 3700237 8025 ZTS JCB 8025 ZTS Mini Excavator. Spare Parts Catalog. Service (workshop) Manual. Operator's Instruction Manual. 3700238 8027Z JCB 8027Z Mini Excavator. Spare Parts Catalog. Service (workshop) Manual. Operator's Instruction Manual. 3700239 8030 ZTS JCB 8030 ZTS Mini Excavator. Spare Parts Catalog. Service (workshop) Manual. Operator's Instruction Manual. 3700240 8032Z JCB 8032Z Mini Excavator. Spare Parts Catalog. Service (workshop) Manual. Operator's Instruction Manual. 3700241 8035 ZTS JCB 8035 ZTS Mini Excavator. Spare Parts Catalog. Service (workshop) Manual. Operator's Instruction Manual. 3700242 8052 JCB 8052 Mini Excavator. Spare Parts Catalog. Service (workshop) Manual. Operator's Instruction Manual. 3700243 8056 JCB 8056 Mini Excavator. Spare Parts Catalog. Service (workshop) Manual. Operator's Instruction Manual. 3700244 8060 JCB 8060 Mini Excavator. Spare Parts Catalog. Service (workshop) Manual. Operator's Instruction Manual. 3700245 8080 JCB 8080 Mini Excavator. Spare Parts Catalog. Service (workshop) Manual. Operator's Instruction Manual. 3700246 8040 ZTS JCB 8040 ZTS Mini Excavator. Spare Parts Catalog. Service (workshop) Manual. Operator's Instruction Manual. 3700247 8045 ZTS JCB 8045 ZTS Mini Excavator. Spare Parts Catalog. Service (workshop) Manual. Operator's Instruction Manual. 3700248 8050 RTS JCB 8050 RTS Mini Excavator. Spare Parts Catalog. Service (workshop) Manual. Operator's Instruction Manual. 3700249 8052 JCB 8052 Mini Excavator. Spare Parts Catalog. Service (workshop) Manual. Operator's Instruction Manual. 3700250 8055 RTS JCB 8055 RTS Mini Excavator. Spare Parts Catalog. Service (workshop) Manual. Operator's Instruction Manual. 3700251 8055 ZTS JCB 8055 ZTS Mini Excavator. Spare Parts Catalog. Service (workshop) Manual. Operator's Instruction Manual. 3700252 8055 JCB 8055 Mini Excavator. Spare Parts Catalog. Service (workshop) Manual. Operator's Instruction Manual. 3700253 8060 JCB 8060 Mini Excavator. Spare Parts Catalog. Service (workshop) Manual. Operator's Instruction Manual. 3700254 8065 RTS JCB 8065 RTS Mini Excavator. Spare Parts Catalog. Service (workshop) Manual. Operator's Instruction Manual. 3700255 8065 JCB 8065 Mini Excavator. Spare Parts Catalog. Service (workshop) Manual. Operator's Instruction Manual. 3700256 8080 Tier 3 JCB 8080 Tier 3 Mini Excavator. Spare Parts Catalog. Service (workshop) Manual. Operator's Instruction Manual. 3700257 8080 JCB 8080 Mini Excavator. Spare Parts Catalog. Service (workshop) Manual. Operator's Instruction Manual. 3700258 8085 ZTS JCB 8085 ZTS Mini Excavator. Spare Parts Catalog. Service (workshop) Manual. Operator's Instruction Manual.